Unisex 36" Lab Coat (Ultra Soft Brushed Fabric) with a multitude of pockets. 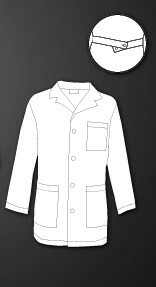 This lab coat has 1 left chest pocket, 2 lower pockets, side-access vents, 2-button swing-back belt, and 4 button-from closures. 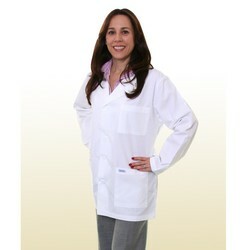 65/35 PC Poplin 5 oz.